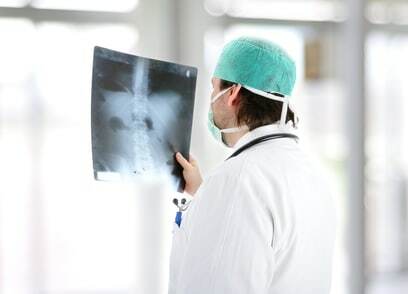 Does Workers Compensation Pay for Back Surgery? Doctors often propose back surgery to treat serious workers’ compensation back injuries. These types of back injuries often result in herniated discs that are diagnosed via an MRI or some other form of diagnostic testing. Should I have the back surgery recommended by my doctor? What happens if the back surgery does not fix me? 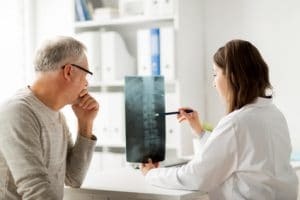 This article will discuss some of the common issues that you need to know about when back surgery is recommended after a workers’ compensation injury. It is very important to understand that I am not a doctor. I do not intend anything in this article to be medical advice. You should consult with your doctor to get advice about your medical condition and medical treatment. This article only attempts to make you aware of the issues that often come up in Georgia’s workers’ compensation law cases when back surgery is recommended. Yes. In Georgia, workers compensation covers most types of back surgery. But, you may have to fight to get the back surgery approved by the insurance company. There are several different types of back surgery. Your doctor may have recommended a lumbar fusion, a discectomy, or a laminectomy. Regardless of which type of surgery your doctor recommended, back surgery can be very expensive. The cost of the back surgery can be one reason that insurance companies fight about paying for surgery. Insurance companies are businesses that try to make money. So, they would prefer not to have to pay for an expensive back surgery if they can avoid it. Don’t be surprised if the insurance company refuses to approve your back surgery or does not give you an answer. You can take steps to work on getting your surgery approved. Many people believe that surgery will make them completely better. Other people believe that surgery will likely make them worse and could even result in paralysis. As I mentioned, I am not a doctor so I cannot give you medical advice. Even if I was a doctor, the details of your particular medical situation will be extremely important in deciding whether surgery is a good option for you. It can be very difficult to decide whether you should have back surgery or not. Talk to your doctor about the surgery that has been recommended. Try to get a good understanding of what the surgery involves. Be sure to find out what risks are associated with the surgery and what improvement you should have if the surgery is successful. You also will want to know what would likely happen if you chose not to have the surgery. Sometimes, back surgery does not fix you. You may need other medical treatment afterward. Some people end up in pain management after back surgery. 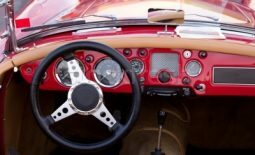 It is important to understand that Georgia workers compensation law often limits how long you can receive wage loss and medical benefits. 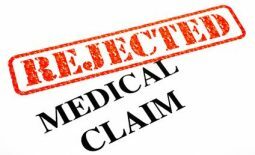 Unless you receive a catastrophic designation, you probably only have 400 weeks (about 7.5 years) to make the insurance company pay for the medical treatment for your injury. There is a similar limit on temporary total disability wage loss benefits. The time limits on medical treatment and wage loss benefits become especially important if back surgery does not fix you. If you continue to have significant problems after back surgery you could need to consider a request for catastrophic designation. You may qualify for a catastrophic designation if your injury prevents you from going back to most types of jobs. One of the benefits of qualifying for a catastrophic designation is that you avoid the 400 weeks cutoff for both your wage loss and medical benefits. The insurance company should pay permanent partial disability (PPD) benefits when your workers compensation injury causes some permanent impairment. If you have back surgery, you should end up with a permanent partial disability rating. The amount of the rating usually depends on the type of back surgery you have. Georgia law requires doctors to use the 5th Edition of the American Medical Association Guides to the Evaluation of Permanent Impairment to assign PPD ratings. Many back injuries and surgeries are rated using the diagnosis-related estimate (DRE) method. Under this method, injuries fall into five categories (Category 1 through Category 5). Each category has a range of permanent impairment percentage ratings. The type of back surgery often determines the category number for the DRE method. A discectomy or laminectomy will often result in a Category 3 DRE rating. A surgical fusion will usually result in a Category 4 or 5 DRE rating. The higher number categories result in a higher PPD rating. For example, a Category 2 will result if a 5 to 8 percent rating while a Category 4 will result in a 20 to 23 percent rating. Many people have questions about settlement. Should they settle their case? If so, when should they settle? Settlement is complicated. The answers to these questions and many others really depend on your particular situation. Since settlement is a choice, you should make the best choice for you. If you have had back surgery or your doctor has recommended it, you need to put a lot of thought into your decision about settlement. There is one thing that is certain about settlement – it is almost always final. You cannot go back and change your mind later. So, make an informed decision if you are considering settlement. This article covers a few of the issues you may face if your doctor recommends back surgery. You may face other issues in your case as well. Most people have questions about their particular workers compensation case. If you do, the best thing to do is ask those questions and get them answered. A free consultation with a workers compensation attorney is one of the best ways to get those questions answered. This article provides more information about how a free consultation works and what you can learn. If you would like to schedule a free consultation with me about your workers compensation case, there are two easy ways to do so. Just complete and submit the free consultation request form on this page or call our office at (770) 214-8885.